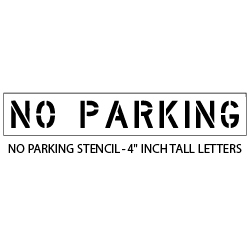 No Parking Stencil - 38"
Make your parking lot Fire Code Compliant with our No Parking Stencil. Our Stencil is 38" inches overall length with 4 inch tall letters. 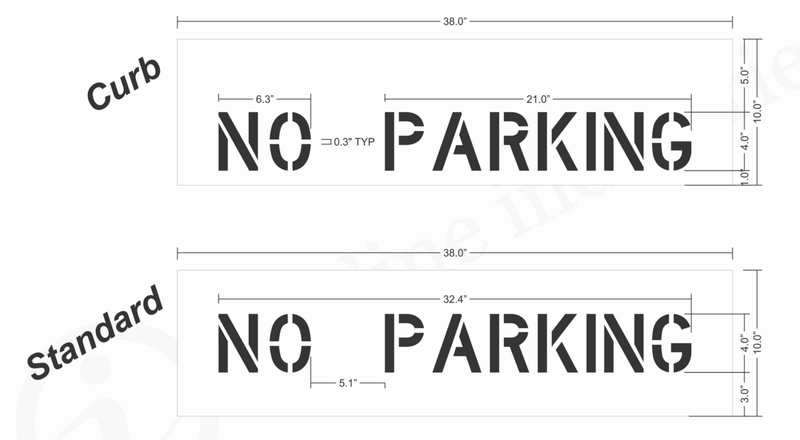 No Parking Stencil Size is 38"x10"
This Fire Lane - No Parking stencil is the pavement marking industry standard size. Conforms to the MUTCD standard for pavement marking.